No gods or kings. Only machines. "You realize you're crouched, right?" says the SOMA developer watching me over my shoulder. Yes I realize I'm crouched , I want to shout at him as I slowly creep around the abandoned decks of some underwater hellhole. Every burst of static, every metallic moan, I think "This is it. This is where I die." So I stay crouched. I move slowly. I bide my time. It's a habit born out of three Frictional titles (four, I guess, if you count the one we all pretend doesn't exist). Between Penumbra: Overture, Penumbra: Black Plague, and Amnesia: The Dark Descent, Frictional has taught me that the greatest safety lies in the shadows, that silence is golden, that patience is a virtue, and a bunch of other clichés that—in a world infested with monsters—mean you stay alive for one more day. After all, the monsters under your bed may or may not exist—but if you keep your feet covered, nothing can grab them. 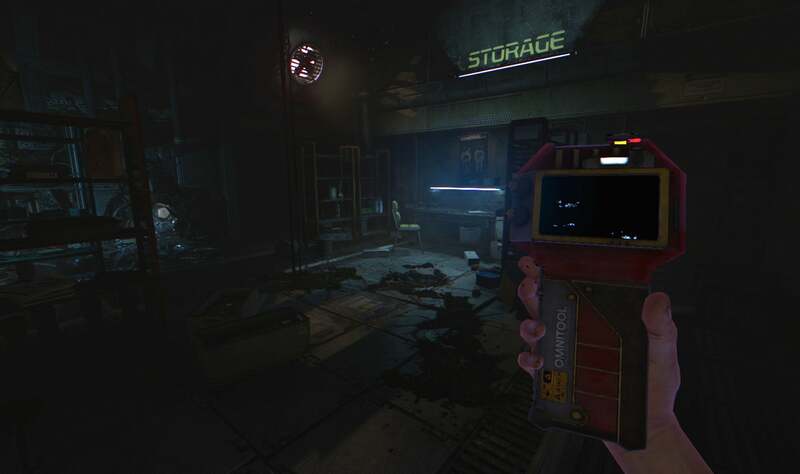 The surprise in SOMA: I'm the monster. Not literally. I am, as far as I can tell, a human. And I'm sure SOMA's underwater station is infested with all sorts of clankety-clank mean robots and murderers and things that go bump in the airlock. There was one particular moment that stuck with me in SOMA though. 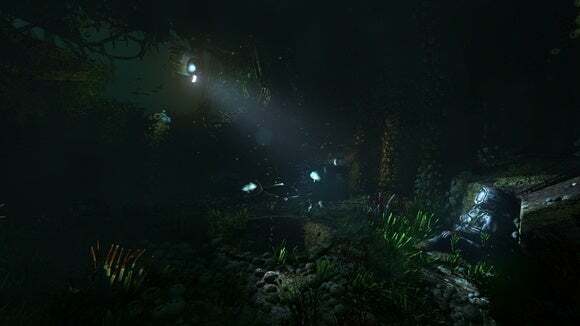 Like Frictional's other games, SOMA is mostly about exploring—hiding from monsters when necessary, but always with the goal of uncovering the next secret, the next messed up bit of exposition to better explain how things got this bad. 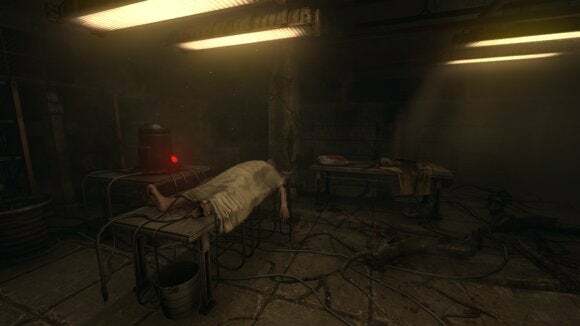 The few corridors I explored in SOMA told the tale of "Carl Semken," part of the crew—until he died. Except he didn't die. Not really. Because I met Carl, or at least I met someone/something who thought he was Carl. There's something weird going on in SOMA. If you've watched any of the game's pre-release trailers you'll have seen bits and pieces of it. People are being turned into (preserved in?) robots. They don't know they're robots though. They think they're human. They tell you they're human. They expect you to recognize them, even when all you're staring at is a bundle of metal limbs and a television screen. And worst of all, they still feel pain. Early on in my demo, I came around a corner to find "Carl," a robot lying half-crushed under some machinery. Carl knew he was hurt. He knew he was hurt badly. He asked me to go get him some help. I walked off, only to find Carl's real body, his human body, lying in a corridor. If it's the robot, then I'm sorry. I'm sorry because I electrocuted "Carl" until all he could do was whimper quietly. I needed to get through a door to the Communications Room and I noticed I could reroute the power through Carl and I did it—and I kept doing it, even when he started screaming in pain. Frictional's games are about that sinking-gut feeling. 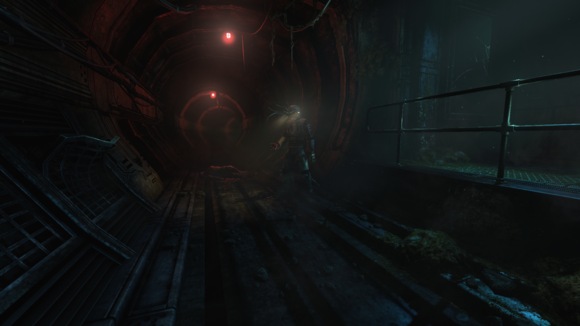 With SOMA, I felt that familiar twinge in a hot, brightly-lit demo room in the middle of the Los Angeles Convention Center—not because of a jump-scare or a monster closet, but because of a far more cerebral type of horror—a feeling that "I'm the bad guy." Because the truth is, I did undo the switch the first time. I stopped electrocuting Carl. I walked around, I searched for another way through, and then…I went back. If it were only this robot-called-"Carl" halting my progress? Well then I'd make up my mind—I'd decide "Carl" wasn't real, that the real Carl was dead in a hallway a few doors down. I threw the switch again. I moved on. I am the monster, because there was another way through—one that was riskier personally (involving an actual creature) but which would've spared poor Carl. I was lazy, and I took the easy route. It's that cerebral horror that brings me back to Frictional's games. Where so many other genre favorites rely on jump-scares, on gore, on wresting control from the player, Frictional works its way under your skin with creeping dread. In the Penumbra games that dread came from quiet isolation. In Amnesia it came from slowly losing your mind. In SOMA, it’s more existential. I didn't encounter a single real "scare" in my half hour with SOMA, but it stuck with me. It left me on edge. It was the sound of Carl's screams echoing through the hallway as I walked past his writhing robot body, all to open a single door. I'd made choices. I didn't think they were the right choices. That's interesting, and I'm curious to see where SOMA goes. I don't have many developers that I "trust," per se, but Frictional's somewhere on that shaky-and-very-tentative list. 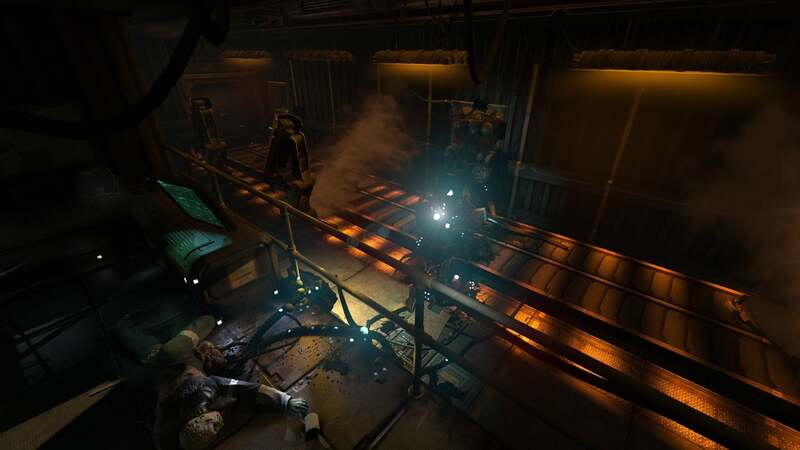 Frictional's put out three (main) games. All three scared me at one point or another. All three inspired dread. Two of them, I played and thought "This completely redefines the horror genre."